Tablets are becoming the norm due to better features and performance in a relatively portable form factor. Before we take a look at the Pixel Review, let’s see what options do we have. iPad Pro is the first thing that comes to mind when anyone speaks of the top of the line tablets. iPad Pro is a premium tablet that can cost a pretty penny. Luckily there are other options for people who do not want to take the iOS route or are looking for something more affordable. 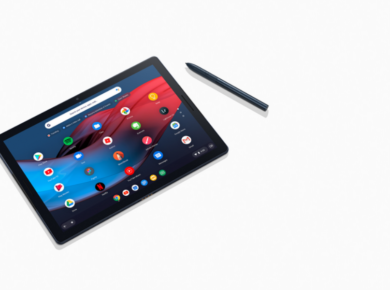 The two options that come to mind are Microsoft’s Surface Pro and Google Pixel Slate. Ever since Google launched software specific Chromebooks, the company has been trying its best to appeal to a wide array of individuals. Google wanted to create a tablet that was suited for web browsing and using web applications as primary software. So instead of increasing its mass appeal, Google ended up developing an extremely niche product. 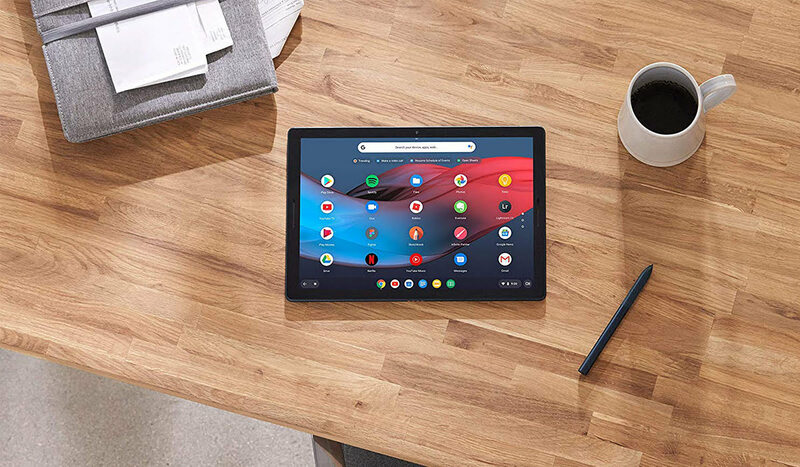 This is not the first Chrome OS tablet, but it’s the first one under Google’s own name. The company wants to send a signal to the world. The signal is that Chrome OS is the operating system of the future; it will run on all portable devices that aren’t specifically laptops or smartphones. The strategy of not going with Android software for its tablets proved costly for the company. Chromebook was a massive flop. But technology has evolved a lot since then. Google has put a lot of time and effort into making Chrome more than just a web browser. Let’s see how much things have changed with Google’s latest Chrome-based device. 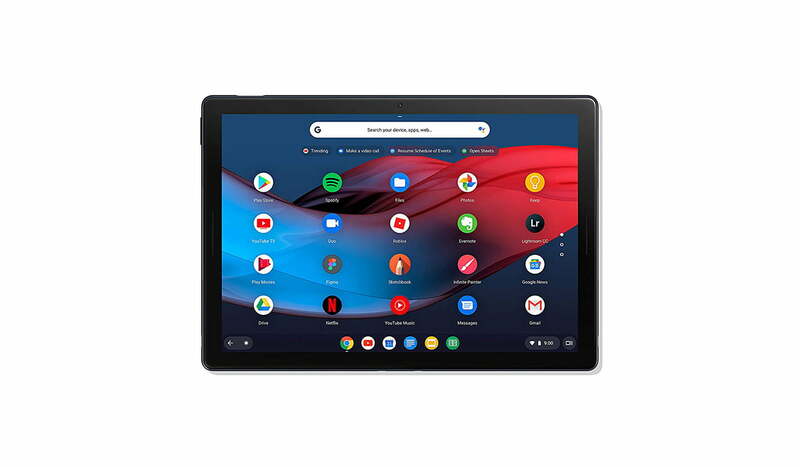 Here is the rundown review of Google Pixel Slate. Let’s take a look at the pricing, first and foremost. The base version costs $599, but the fully specced-out version can run close to two thousand dollars. This, after we include the pen and keyboard with it. This is definitely an eye-watering price. Google has decided to offer the Slate in five different price points. Given how we may buy an extremely powerful laptop, even an Alienware gaming beast, this price does no one any favors. It is definitely a mix between a laptop and a tablet, so sadly it does not have its own identity. It tries to be too many things at the same time, so ends up being none of them. Plus giving so many options will only make consumers more confused. There are definitely bigger, better and more fairly priced options out there. The Slate has a 12.3-inch 3000 x 2000 pixel touch enable display screen. The bezels surrounding this gorgeous screen aren’t too thick, and hardly intrusive. They are not as thin as those of iPad Pro, but still pretty decent. Google calls this the “molecular display.” It’s just a fancy name given to a pretty good LCD panel. The thick bezels contain two front firing speakers, so they do serve a purpose. It is very close in size to the new 12.9-inch iPad Pro and does an equally good job of looking even thinner than it is. It has two USB-C ports for fast transfer speeds. The Slate does support many, many external devices connected via the USB-C ports. This helps make the Slate more versatile. External mics, hard drives, and even webcams work really well. It does not come with a 3.5mm headphone jack. This isn’t a surprise since Google does not include a 3.5mm headphone jack with its Pixel line of smartphone devices either. It is still an inconvenience in my opinion. Unfortunately, this is even a bigger problem than I initially thought. The Bluetooth driver is really buggy; it keeps crashing. This means that there may be times when you will have to simply rely on the built-in speakers. No 3.5mm jack or reliable Bluetooth means no headphones. MEGA BUMMER! The Power Button acts as a fingerprint reader for added security. A few people are familiar with Chrome OS, so using Slate might feel cumbersome to most people. It does support Android apps, but they feel a bit different when not being used on an Android system. When the users attach a keyboard to the Slate, it performs like another tablet/laptop hybrids such as the iPad Pro and Surface Pro. When the keyboard is removed or flipped, Slate becomes a “normal” tablet. Dragging apps, and multiple opening windows feel like quite a drag, literally. The whole system seems to become really slow and laggy. Maybe a software update or GUI update will help solve this. The problem exacerbates when a user owns the base version. Intel’s basic Celeron processor cannot handle more than a few tabs or one or two apps being run simultaneously. Overall Chrome OS offers some really useful web applications, but it is still quite buggy. Slate’s keyboard is a folio keyboard which means it can be flipped over and get attached to the Slate via a magnet. The keyboard can be flipped and used as a support for the device. It is similar to how earlier iPad’s protective cover was implemented. As far as the keys are considered, they are round, have a satisfying travel distance when pressed, noiseless and are back-lit, which is all good. Problems arise when the Slate is used in the lap while sitting. The keyboard starts to wobble, make noises and makes the overall typing experience something out of a horror movie. It jerks so much that the trackpad starts to click. Totally awful. Luckily this problem disappears when the Slate is used on a flat surface. The Google Slate is a mixed bag, to say the least. It tries to accomplish a lot of things, but it, unfortunately, doesn’t accomplish much. Firstly its expensive as hell. Secondly, it needs a thorough knowledge of the Chrome OS ecosystem, and lastly, it’s the damn bugs. If the device didn’t have so many basic bugs and had a polished, stable operating system, it may still have been somewhat of a successful product. 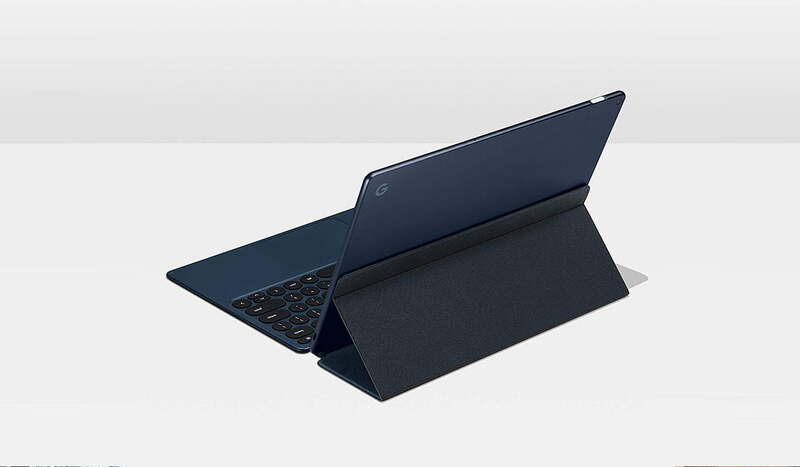 In conclusion of my review of the Google Pixel Slate, I’m left bitter and disappointed, even more than usual. What do you guys think? Please let us know in the comments section below!